Modern Western ideas concerning the purpose and practice of politics are threaded through with assumptions and concepts developed during the Enlightenment, and primary among these is the vision of the state as a kind of formalised protection racket. Individuals alone in nature, so the theory goes, are free but also perpetually vulnerable to weather, disasters, wild animals and – most frighteningly – other humans. By banding together under a leader with the requisite military and organisational skills to protect them, they surrender some of their freedom in return for greater security. Interestingly, Chinese political philosophy also explains the existence of political society via semi-mythological transition from a primitive state of nature to one of culture and civilisation. However, in the Chinese version of the tale it is not the threat of violence from other humans that is the catalyst for cooperation. Instead, over time, certain individuals develop new and better agricultural techniques or technologies, and so attract others interested in profiting from the practical advantages on offer. By acquiring followers, these Sage Kings (as they are referred to in the texts) become leaders, and acquire the power to legislate for all those who wish to join their group and enjoy the benefits. While it is a rare modern citizen – whether in China or in the West - who has read the classics of political philosophy that lay out these ideas, they have become so deeply ingrained within their respective societies that recourse to them in political thought is instinctive. They are considered to be such fundamental truths that no justification is necessary. However, while it would be tedious for an American political scientist to have to explain in every paper he writes that power within a society belongs to the group or individual with a monopoly on legitimate violence, neither should he fall into the trap of applying the same idea unquestioningly when analysing other political systems. While it would work reasonably well applied to, say, France or Poland, as we have already seen, in countries using Chinese-inspired political systems, “the boss” is not the individual with military or police powers (though he tends to acquire these as well) but the one who can promise and deliver the most practical benefits to his followers. President Xi Jinping has made the clarification of China’s internal hierarchy the main pillar of his rule: his anti-corruption and rule-of-law campaigns are both intended to ensure that no one – whether official or private citizen – can constitute a system for distributing advantages external to that managed by the state. When the authorities clamp down on individuals such as Bo Xilai and Zhou Yongkang with a level of severity that seems extreme to foreign eyes, they are not doing so purely out of moral repugnance, but because patronage networks constitute an existential threat to their own power. In such a context, the cash being dished out with such abandon by the One Belt One Road initiative makes instinctive sense. In the past few years, China has agreed to finance or help finance a $6 billion railway in Laos and accorded soft loans and debt relief to the tune of $326 million to Cambodia. Even Vietnam, never more than lukewarm in its relations with China appears to be caving to the inevitable and integrating its own extensive infrastructure projects with those planned by the Chinese. Financial analysts have been quick to criticise the distribution of OBOR funds. As Jack Yuan, of Fitch Ratings in Shanghai put it, “The jurisdictions where many of these loans are going are places that would have difficulty getting loans from Western commercial banks – their credit ratings are not very good, or the projects in question often are not commercially viable.” Even within the Chinese establishment, various figures have raised their doubts about the economic advisibility of the OBOR projects, with the Governor of the People’s Bank of China, Zhou Xiaochuan recognising that providing cheap loans to high-risk partners is fraught with “risks and problems”. However, if these loans are seen as loss-leaders in a hegemonic project, then it should be assumed that the Chinese government is well aware that there is every chance that they will be repaid either late or not at all. The Politburo may even be counting on this fact in order to strengthen and extend their leverage over the recipients. Rather than squandering cash needlessly in frivolous projects as many observers have alleged, President Xi is applying internationally the same systems and techniques that have succeeded in keeping him and his predecessors in power at home. This is not, however, to say that the methods will always transfer well, even among countries that share China’s political culture. While China is free to spend its good fortune abroad, its powers of compulsion stop at its own borders. Moreover, the Chinese state does not have a worldwide monopoly on generosity. Instead, it is competing with investors and development agencies from across the globe. Thus, the only way China can give its neighbours “no choice but to benefit from its largesse” is by making the sums involved so large that no reasonable person could refuse. Even then, however, there is no cast-iron way to ensure that the recipients adopt a properly subservient attitude in response. China has adopted various strategies – long-term loans, promises of future gifts, joint infrastructure projects – in an attempt to prevent defection, but the fact remains that its only real sanction is that of refusing to provide any more cash. Though the fact is rarely made explicit, it is reasonably clear that the Chinese side feels that these investments should create a natural sense of reciprocal obligation: to phrase it in traditional philosophical terms, loyalty (zhong 忠) is the counterpart of benevolence (ren 仁). However, it is far from certain that the recipient countries will understand, or wish to understand, this implied quid pro quo. While China may give gifts in the spirit of an exclusive patron-client relationship, there is no guarantee that the recipients will not accept them as a one-time fee from a casual customer. Xunzi, “Wang Zhi”, 21. Translations author’s own. 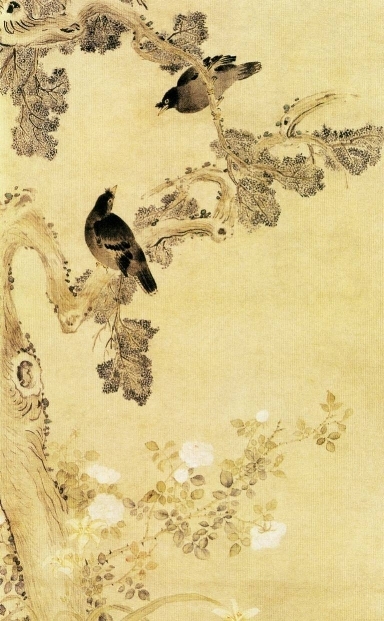 Han Fei Zi, “Wai Chu Shuo Youshang”, 146.